Stunning, fully remodeled home! Professional kitchen w/GE monogram appliances, granite countertops, custom soft close cabinets, huge island & bar. 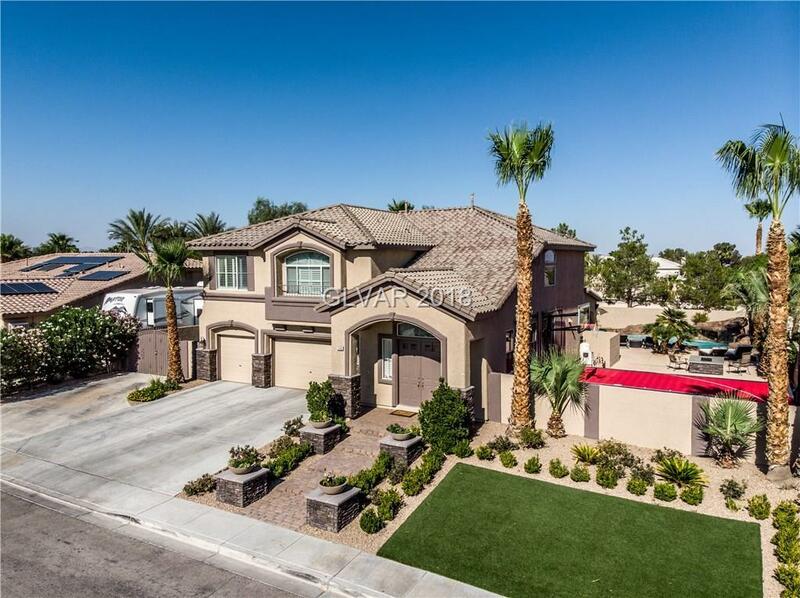 Spacious family room w/10ft wide doors leading to huge covered patio w/outdoor kitchen. Backyard features gorgeous landscape, artificial grass, newly plastered pool, sports court, fire pit, RV parking, & storage shed. Beautiful tile wood & upgraded flooring. Large master retreat & spa like master bath! Directions: From Buffalo And Sahara, South On Buffalo Past Edna, R On Palmyra Into Monaco Estates, Left On Azure Bay. Second House On The Left.